After A Hurricane.You Should Check Your Roof. 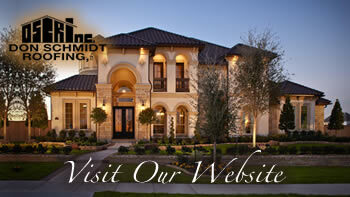 Home » Don Schmidt Roofing Blog » After A Hurricane.You Should Check Your Roof. Your roof is exposed to the elements, and it is the primary defense against hurricanes and storms. At the same time, it is also the most vulnerable part of a property. When a storm or hurricane causes damages, dealing with the aftermath can be overwhelming. The following information will help you through the process of restoring your roof and your peace of mind. Usually, soon after a storm, unsavory contractors and storm chasers try to take advantage of unsuspecting property owners. It is very important to stay calm and do as much research before committing to hiring a roofing company. This may seem difficult, especially if you need emergency repairs. Yet taking your time can mean the difference in the quality of work and the money you spend. You should especially be wary of any promise that sounds too good to be true because it’s usually an indication of deceptive techniques.